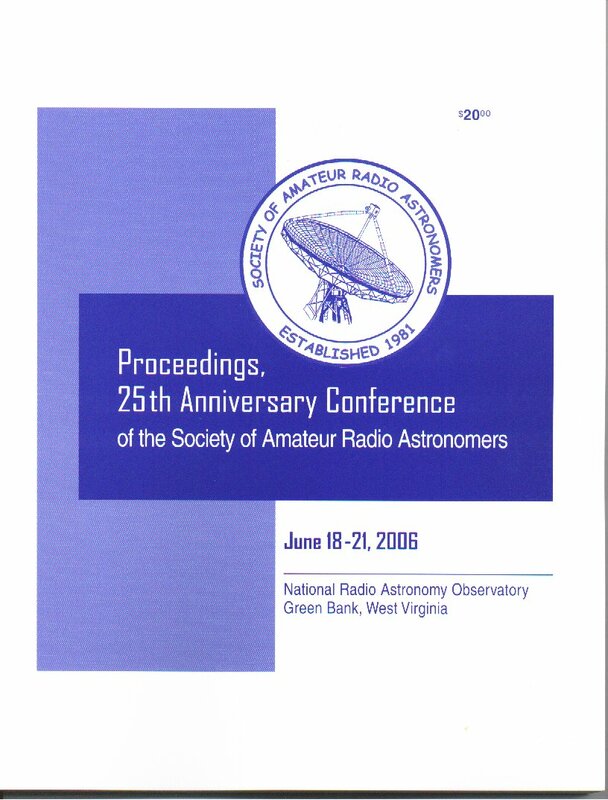 Now available -- Proceedings, 25th Anniversary Conference of the Society of Amateur Radio Astronomers. June 2006. Published by the American Radio Relay League. ISBN 0-87259-970-1. Robots for the Classroom, by Dr. David E. Fields, N4HBO, et. al. Stone Soup: the Sine Qua Non of Syncronous Community Science, by Robert G. Kennedy III, et. al. Temperature Control Using the Peltier Effect, by Joseph F. Phillips, et. al. NRAO 40-Foot Radio Telescope Operator's Manual, by Richard F. Bradley, et. al.